You have the right to do your job without harassment or discrimination because of you who love. 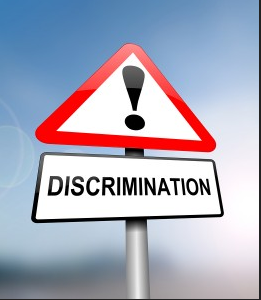 Sexual orientation discrimination can be overt, such as comments, ridicule, or slurs from peers or supervisors about gays, lesbians, bisexuals, or transgender individuals. That’s called hostile work environment discrimination and it’s illegal. The Minnesota Human Rights Act and Wisconsin law prohibits hostile work environment discrimination based on sexual orientation. Discrimination based on sexual orientation can also be more subtle. It occurs when managers or supervisors favor other, similarly situated employees for promotions, raises, or other work benefits just because they happen to be heterosexual. Employers may even go so far as to terminate employees or force them to quit based on their sexual orientation. This behavior is illegal in Minnesota and Wisconsin, and you don’t have to tolerate it. Sean excelled as a police officer for three years. Known as the “golden boy” throughout the police department, he was consistently given outstanding performance reviews, more and more responsibility, and prompt promotions. After three years in the department, Sean decided to come out as a gay man – he requested permission to march in the Minneapolis Gay Pride parade. Sean’s fortunes at the police department immediately changed. Within six months of coming out, Sean had been disciplined five separate times, made the subject of three separate internal investigations, removed from his positions of responsibility, placed on a performance improvement plan, and given the worst possible performance evaluation. He finally resigned. Madia Law represented Sean and filed suit against the police department for sexual orientation discrimination under the Minnesota Human Rights Act and violation of the Equal Protection guarantees of the Fourteenth Amendment to the U.S. Constitution. After over a year of litigation, the police department settled and paid Sean $73,000. Please note that every case is different, with its own unique facts. Just because Sean’s case settled in a particular way does not mean that your case will be the same. You should contact Madia Law to discuss your sexual orientation case in detail and get an accurate assessment of its value. If you have been the victim of sexual orientation discrimination, you may be entitled to back pay and front pay damages, emotional distress compensation, treble damages under the Minnesota Human Rights Act, and your attorney fees and costs. You must act quickly when it comes to filing a claim for discrimination based on being gay, lesbian, bisexual, or transgender. If you wait, there may be strict statutes of limitation that will bar you from filing your claim. Call Madia Law today to discuss your case. All consultations are free.